The Greyhound is a breed that has been around for thousands of years, relating directly to the sighthound dogs. Greyhounds are generally large, lean and athletic dogs. They are also one of the fastest mammals on earth that are able to reach up to 40 miles an hour when they run. Additionally, these dogs are known to be gentle and caring animals, that make perfect pets and an awesome running partner. 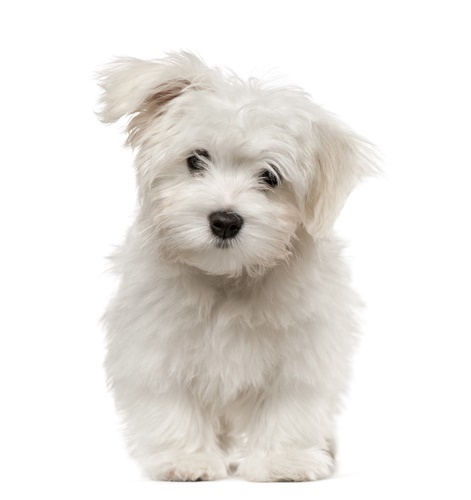 The FDA is working with veterinary cardiologists and dog owners to research this problem. In the mean time, it is recommended that owners steer clear of foods that contain these suspect ingredients in large amounts (such as the first five ingredients). 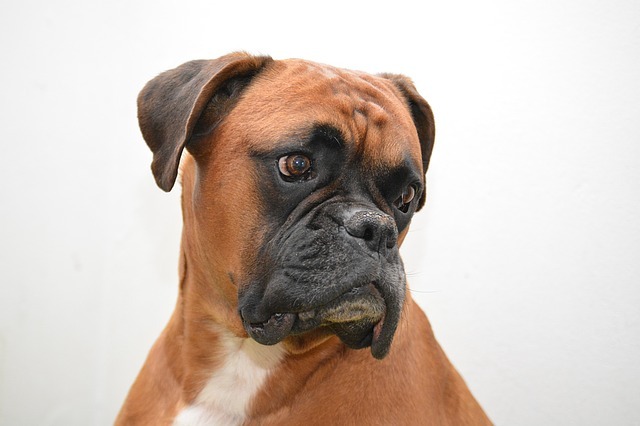 Dogs that have the diet-related form of DCM can often improve if their diet is changed. We have used this criteria in choosing foods for Greyhounds. Suitable as hypoallergenic dog food. Buying the wrong dog food is a mistake that your dog does not want you to make. So whether it is the sickness, the taste, or simply the lack of energy, the wrong dog food can adversely affect all of that. Therefore, we have decided to make your life easier and your dog’s life a little safer. So we’ve listed down 5 top recommended products for any type of Greyhound. 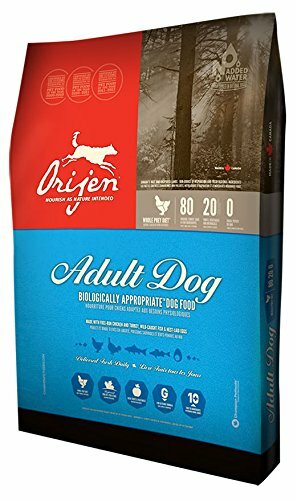 This Orijen Adult Dog Food’s 28.6 lb bag includes chicken and turkey pieces in order to ensure that your dog is getting a concentrated source of protein. Two thirds of this blend’s meat is fresh, and without any preservatives or other harmful additives. This mix includes eggs, liver, organs, cartilage, bones, and fish. All of that ensures that your dog is getting every type of nutrient that it needs to remain healthy and satisfied. Finally, this dog food infuses pieces of freeze-dried liver to make this food healthy and yummy, keeping your dog always wanting more. High Protein content at 38%. Easy on the stomach, known to improved your pet’s digestion. Some customers complained that this food was too expensive. Many owners were upset to find that their pets refused to eat this food. Several customers complained of receiving damaged products. 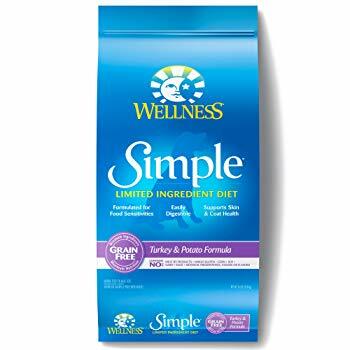 This Wellness Simple Natural Limited Ingredient Dry Dog Food is made with fewer ingredients. That makes it easier for digestion and lowers the chances of an allergic reaction. Additionally, this blend features turkey, a simple protein that is easy to digest and full of necessary nutrients. This dog food contains omega fatty acids in order to ensure a healthy coat and skin for your dog. Finally, this mix features chicory root because of its natural probiotic properties that strengthen the dog’s digestive system. This food is made in the USA, assuring you that you are getting only approved meats and ingredients. Most dog owners found an improvement in their pet’s digestive system. A number of customers complained of receiving spoilt food. Many customers found that their dogs couldn’t digest this food. 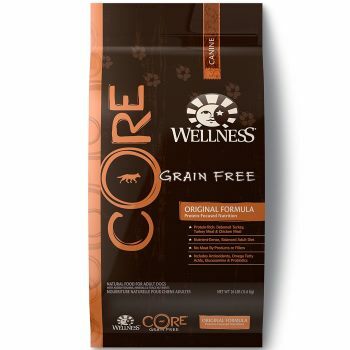 This Wellness Core® Natural Grain Free Dry Dog Food is hundred percent grain free and promotes lean and strong muscles by providing a large amount protein. Furthermore, this dog food features high amounts of fiber while maintaining a low amount of fat in order to promote a healthy and balanced weight. Additionally, this dog food includes turkey as a source of lean protein and chicken liver as a source of vitamins. This food ensures that your dog is receiving the optimal amount of calories that it needs to remain strong and healthy. That also includes carrots in order to ensure heart health. Finally, this dog food features select probiotics in order to ensure digestive health of the dog. Most customers found that this dog food was made with high quality meats. Many dog owners stated that their pets enjoyed the taste of this blend. This food has great value and pricing. Countless customers found mold and other damages in their products. A number of customers found that their dogs reacted to this blend badly. Many customers complained that their dogs had digestion issues while on this diet. 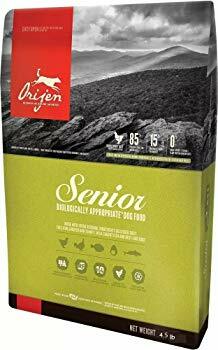 This Orijen Senior Dry Dog Food features one third poultry meat in order to ensure that your dog receives most nutrients. Additionally, two thirds of the ingredients used in this blend are fresh ingredients and don’t include harmful additives or preservatives. This mix features meat of six different animals (including turkey, chicken, and fish) ensuring that your dog receives all the nutrients that it needs in order to be as healthy as possible. Finally, this mix features minimal amounts of carbs, as a senior dog requires more protein and fewer starches. Many customers found that their dogs grew stronger on this diet. Multiple customers stated that their dogs enjoyed eating this dog food. Some customers found that their senior dogs absorbed this food properly. Some dog owners complained of the high price of the food. Some customers found that their dogs got sick while eating this food. Countless customers complained of receiving food with a close to expiry date. 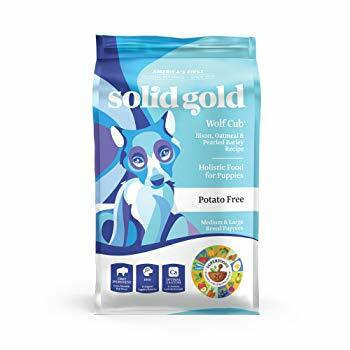 This Solid Gold Holistic Dog Food, Dry and Wet with Superfoods features healthy grains and high-quality sources of protein. This blend features twenty different superfoods in order to create the perfect blend of vitamins and nutrients to promote your puppy’s health. This blend includes DHA, in order to improve your puppy’s brain development and growth in the best way possible. Finally, this mix is free from added preservatives and starches, ensuring that your dog is getting a healthy and satisfying meal. Many customers found that their dogs get full faster on this blend. Most customers agreed that their puppies liked the taste of this food. Countless dog owners found that this food provided their dogs with healthy nutrients. A few customers found that their dogs were reacting badly to this food. Countless dog owners found that their pets didn’t care for the taste of this food. Slightly more expensive than some other brands. Greyhound dogs require a balanced diet, with an emphasis on the quality of what they are eating. Quite often, cheaper dog food options can result in your dog eating unhealthy fillers. That can, in fact, cause a number of health problems. When your Greyhound is healthy, you will be able to visibly see the difference. That’s because healthy Greyhounds have shinier coats, brighter eyes and are full of energy. Therefore, in order to ensure that your dog is as healthy as possible, make sure to feed them between 250 – 300 grams of meat a day. You can try fruits, vegetables and even some well-cooked rice and pasta. All these things provide your dog with the nutrients that they need to live a healthy life. 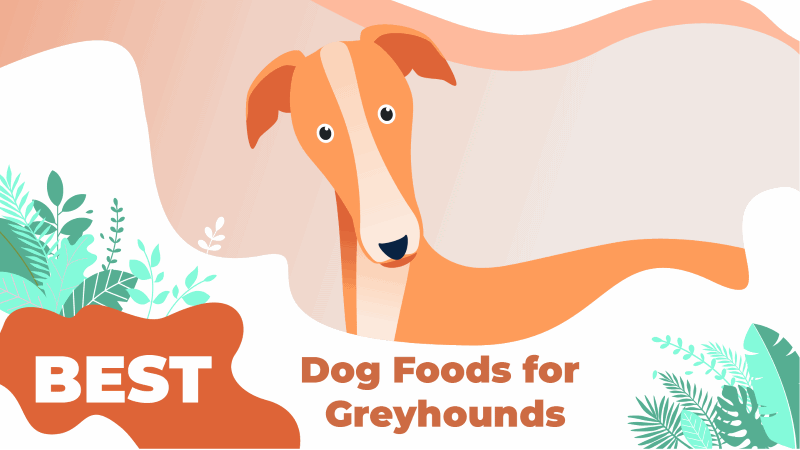 Greyhounds cannot eat human food, but that doesn’t mean that they don’t have similar nutritional needs. Just like your children require protein, fat, vitamins, minerals and carbs, so do your dogs. Novel Protein– This is a vital part of your dog’s diet, it is the thing that will protect their muscles and help them remain strong and healthy. Poultry is a great source of protein and nutrients and is usually found in many high-quality dog foods. Your dog’s food should have around 18-28 percent protein in its blend. Fat – Fat is a dog’s source of energy, so it is super important that any food you are feeding dog contain at least 8 percent fat. High-quality foods will generally exceed this. Carbs – Carbs are a great source of energy for your dog and a great way to soothe their restless stomach. Not only will it keep the dog satisfied after mealtime, but also serve as a source of energy. So a little plain rice with some boiled chicken can be a great low ingredient meal for any dog who’s feeling a little under the weather. Vitamins and Minerals –In addition to protein and essential fatty acids, your dog needs a blend of vitamins and minerals in its diet for skin support. Fresh fruits and vegetables are natural sources of key nutrients but chelated minerals and probiotics are beneficial additions to look for as well. How you feed your Greyhound depends on a lot of different things, age, size, and even preference. But regardless of this, it’s important to remember that greyhounds are supposed to be skinny, and trying to get them fatter can be detrimental to their health. Adult – For the most part, the only thing to keep in mind with greyhound adults is that they need protein. However, it is important to remember that every dog is different, so sometimes you need to adjust the number of calories and food that you are giving your dog to fit their own personal health needs. Remember that the transition to new food should be gradual and not a cold turkey; dogs need time to get used to things. The best course of action is to mix their food, and ever so slightly add the new food over the course of a few days, before making a full transition. 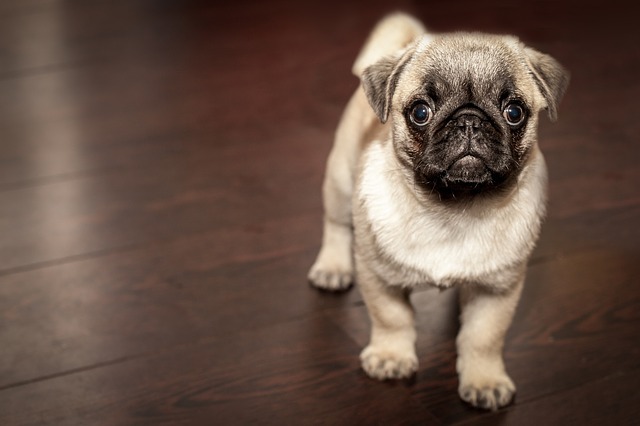 Puppy – Greyhound puppies do have some specific dietary requirements, they should be on high-quality large breed puppy diets and shouldn’t have a phosphorous to calcium ratio over 1.5:1. Moreover, it is important to pay attention to the protein count on greyhound puppy food, as their best bet is eating food with slightly fewer protein percentages than we’re otherwise used to so that these dogs don’t grow too fast. Senior – Greyhounds live fairly long for a large breed dog, with average life expectancy going up to 12 years old. However, already by year 7, Greyhounds begin to slow down and enter their senior stage. At this point, it is important to keep weight management dog food in mind and ensure that if needed, you switch your dog’s diet to one with considerably less fat. However, different from most dogs, Greyhounds actually tend to lose weight in their senior years as they lose muscle and strength. This should be the case, so make sure to be feeding the high calorie dog food for weight gain to nurse them back to a healthy weight. Just like any other dog breed, even Greyhounds run the risk of multiple health issues, some avoidable and some less so. 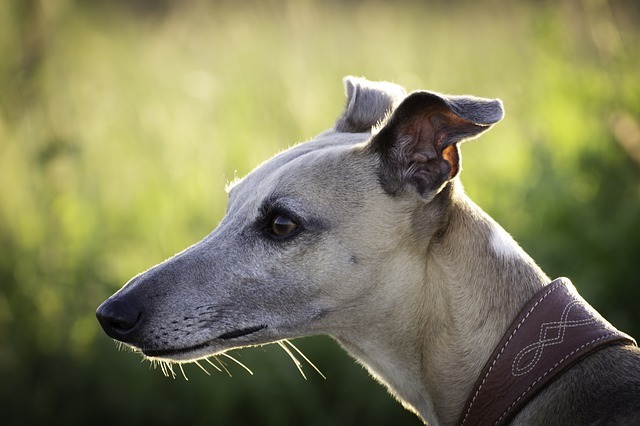 Spleen Cancer – There’s no sure way to get rid of this risk, however, many owners try to keep their Greyhounds healthy by only feeding them natural ingredients. Many hope that the lack of exposure to artificial ingredients will keep their dog from running the scary risk of cancer. Food Allergies – Corn, soy and wheat are all foods that will not agree with your Greyhound. While these foods won’t necessarily send your dog into anaphylactic shock, it’s still a good idea to avoid these ingredients. Bloating – It is a good idea to keep your Greyhound full with small portions throughout the day. That’s because one meal can result in the quick scarfing down of food. This is dangerous because it can result in bloating, which will keep your dog from breathing due to the air trapped in their chest. To sum it up, Greyhounds are extremely athletic dogs, and in order to ensure that they are able to grow to their full potential, it is important that they have the right food. You see, most Greyhound dogs at the beginning of their lives are raised to be racing dogs, making it extremely important that they are healthy, happy and nurtured. That’s because, Greyhounds are innate hunters, and blessed with unbelievable speed. So, whether it be buying the correct puppy food in order to ensure that your dog grows at the right pace, or buying the correct adult food to make sure that your dog stays healthy enough to race, the correct nutrition is vital for a healthy dog. 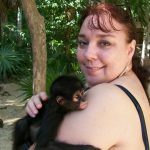 Shani is a freelance writer specializing in the subject of pet health and wellness. While she does love dogs of all sizes, she particularly likes small breeds, rather than big ones - especially fluffy Labradoodles. With an interest in learning more about different dog breeds, she shares this newfound knowledge with the world.